Word came down Wednesday that the Treasury planned to replace Alexander Hamilton as the main image on the $10 bill with an important American female. The move commemorates the upcoming 100-year anniversary of women getting the right to vote in 2020, when the monetary note will debut. The Treasury is encouraging social-media-minded citizens to employ the hashtag #TheNew10 to spread the word about the redesign and its officials plan to engage the public with town-hall meetings and roundtable discussions. And the buzz has been palpable about which American heroine should get such a distinction that's long overdue for her gender. While it's unclear when the final decision will be made, we asked Amobee Brand Intelligence late yesterday to pull cross-Web stats about whom the public is talking about so far. Civil rights activist Rosa Parks, former first lady Eleanor Roosevelt and Cherokee Nation chief Wilma Mankiller—indeed, "Mankiller" was her last name—also appear in the running. Whomever the feds choose, she will be the first woman to have her likeness printed on U.S. monetary paper. But she will not be the only female to appear on American currency—Susan B. Anthony $1 coins were minted during two different stints in the late 20th century. Amobee extracted data from publishers and social networks to arrive at the findings below. The Foster City, Calif.-based analytics company ranked the subjects starting with who is getting chatted about the most—Tubman, in this case, who gets a 100 percent score for being most associated with the $10 bill right now. 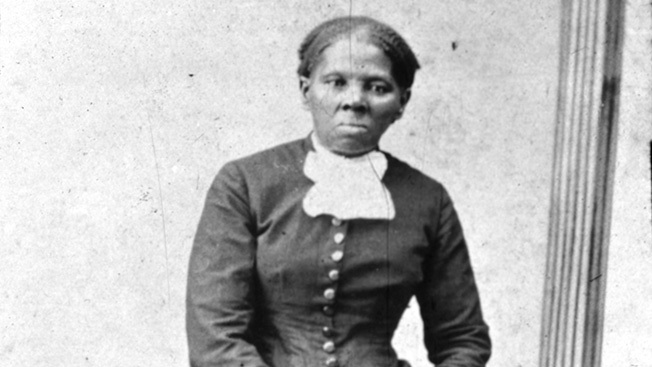 Compared with Tubman, Parks' name is 67 percent as associated with the online $10 bill talk, while Roosevelt is 64 percent as associated.